The Dan racing mask has a pointed face and typical large circular eyes. Traditionally, an unmasked runner pursues its wearer and, if caught, the unmasked runner wears the mask and is, in turn, pursued. Historically, these races trained the men to fight and the winner gained social recognition. 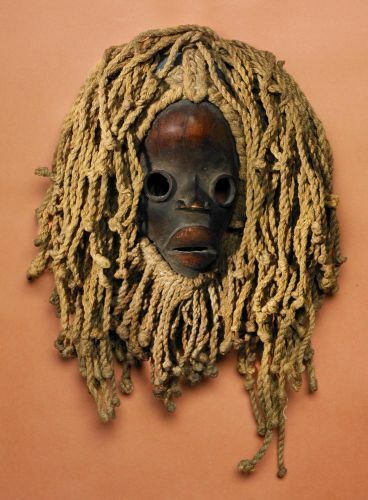 Male Dan masks feature round, open eyes, while female masks show eye slits.